Job fair hosted by SASP offers great business opportunities for locals. Recruitment drives assisted by production of fair. A wide variety of businesses took part in the event. Preparations for the San Andreas State Police job fair began well in advance as tables and fencing were laid out and pitched beside the grassy area beside the Montgomery gas station. With local produce from local Red County farms and hot & cold food stands made readily available, the residents of Red County were in for a treat. The job fair line up saw the likes of the San Andreas State Police, the Red County Fire Department, Elite Trucking, SAN Network, Casa Blanca Casino, Argent Aerospace, local farmers and us, County Radio; all of which received their very own stall to showcase their organizations to the Red County residents. Both Argent Aerospace and SAN Network received special care to ensure their vehicles were brought to the ground safely, with Deputy Director of Public Affairs Elena Green marking locations with flares for the pilots. Premium parking was also on offer with many thanks to local business Casa Blanca's who offered up their secure parking for a small fee. Fresh produce was also free for everybody at the fair, including fresh milk from Wendy the cow which could be seen by the produce table. An interesting addition to the fair saw the San Andreas State Police bomb disposal robot, known as Explosives Ordinance Disposal (EOD) which is part of the ESU unit. All in all the event was a success, with the weather holding out for the duration, the fair saw crowds of residents taking part and browsing through all the stalls and discovering more about the businesses that help build the economy in Red County. And it wouldn't have been a Red County without County Radio, who showcased a handful of our six DJ's, from DJ Mercy, DJ Legacy and DJ RockMP with DJ Meek joining our table later that evening. Version 2.5 is now live on the server, click a box below to expand the changes. • Corrected an issue which may have given certain players godmode after a bugged death. • Corrected an issue where players could not set their age below 16. • Fixed a bug that caused exterior furniture items to get stuck in old furniture positions inside of the corresponding house. • Fixed a bug where /fishes could not be used while a player had a fish spam timer. • Fixed a bug where /lockgarage didn't work inside of custom garage interiors. • Fixed a bug where account online status could be stuck as online even when a player was offline, preventing them from logging in. • Fixed a bug where corpses could be lit on fire multiple times. • Fixed a bug where duplicated furniture objects wouldn't reassign textures to the correct slots. • Fixed a bug where faction vehicles couldn't be retrieved from the impound properly after a server restart. 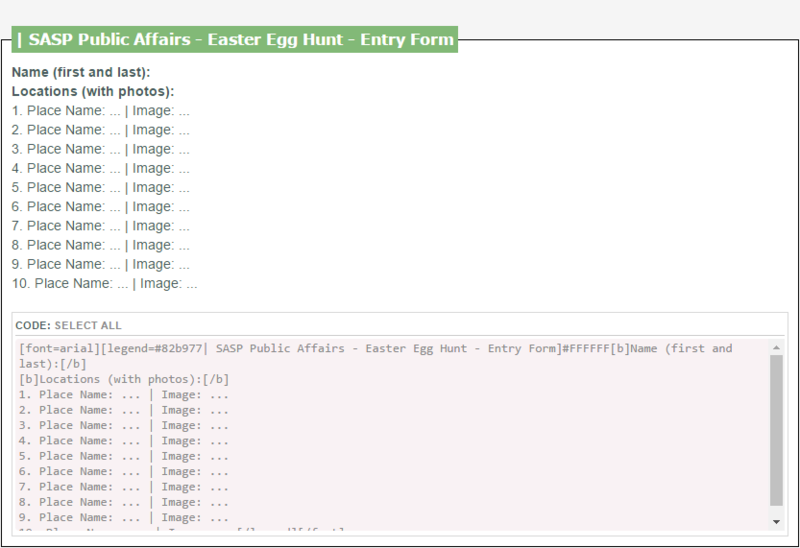 • Fixed a bug where incorrect businesses were marked as mall businesses. • Fixed a bug where local /r and /dr messages could be seen when a player was in a vehicle with the windows rolled up. • Fixed a bug where newly purchased vehicles could be duplicated. • Fixed a bug where players could go /afk while using a payphone, allowing them to run around while using the payphone upon returning. • Fixed a bug where players could whisper to other players inside of vehicles with the windows up. • Fixed a bug where server vehicles could be resprayed by mechanics. • Fixed a bug where the FD trucking route would guide the player to the incorrect location. • Fixed a bug where vehicle /recharge restrictions would only check player owned cars. • Fixed a few bugs with loading player car data after retrieving vehicles from the impound lot or repair garage. • Fixed an exploit which allowed factions to rig weapon crate requests until more rare weapons showed up. • Fixed an exploit with drugs stored in faction lockers. • Fixed bugs where players could unfreeze themselves when downed. • Fixed issue where players could get autobanned for shooting weapons under special circumstances. • Fixed some issues with unlocking businesses from the outside. • Hopefully fixed a bug where the driveby script wouldn't teleport the player back into the vehicle due to silly code logic. • /alias will now save to player accounts and reapply once logging back in until a player has removed the alias. • /ame will now automatically capitalize the first letter of the player's command input. • /factiononline and /members should now be more efficient and less bugged. • /payfurn preference now saves. • /pickupallf will now pick up and destroy all weed plants. • /rollwindows now supports each window independently. Each passenger can now manipulate their own window while the driver/passenger can control all windows. • /siren has been adjusted to be more efficient and make it easier to add new sirens. • /stats and disconnect messages will now show a player's packet loss. • /trunk can no longer be used while downed. • Added a non emergency option to 911 calls. • Added deletion causes and timestamps to weapons which will make it easier for admins to find out why a player's weapons were deleted for refund requests and etc. • Adjust damage callbacks to add better hit registration on people inside of vehicles. • An invisible platform will now be created at the location a player is about to be teleported to in order to prevent people from falling through streamed objects. • Any phone or weapon that is dropped when the server restarts will now be deleted. • Boombox streams will now only cancel when a player enters a vehicle if the car has an audio stream playing itself. • Eating food will no longer restore HP if a player has lethal wounds. • Faction leaders can now adjust the rank required to take items from their faction lockers (/setlockerrank). • Faction lockers will now create a pickup where they are set. • Made a handful of internal optimizations related to interacting with houses, businesses, garages, motels and static interiors from the outside. • Made many optimizations to the furniture system, house system, business system, static interiors and garage system. • Phone owner names will now only be updated upon namechange when the creator is still in possession of the phone. • Phone storage has been redone and is now more efficient. Multiple phones can now be stored in properties as well. • Players can no longer be dragged while AFK. • Players will now be automatically kicked if they do not log in to their accounts within 30 seconds. • Purchasing new clothing items now uses the model selection menu rather than the old scrolling system. • Raised the maximum amount of textures per furniture item from 3 to 5. • Removed player names/stranger IDs from /knock. • Rewrote sending shout/megaphone messages into buildings again. The feature should be far more efficient now and less buggy as well. • The /members dialog has been redone to look cleaner and provide a member's last login date as well. • The briefcase system has been removed. • The inactive property wipe will now check every 15 minutes for inactive users instead of once a day at a fixed time to prevent people from camping the Silver Trading office for the property wipe. The property wipe has also been optimized and now executes 2.5x as fast. • Added /vattachments which will allow players to attach up to 5 miscellaneous objects to their vehicles. • Added a brand new interior to the Dillimore Police Department which consists of ~5,000 objects. • Added a graffiti system which will allow scripted gangs to add graffiti tags around the map. • Added an experimental bus bot that will complete the server's bus route 24/7. The bus driver sidejob has been removed. Note: this change is experimental and subject to change at any given time. • Added orange sirens for multiple cars in Elite Trucking. • Added storage to businesses which behaves exactly like house storage, only used with bizz as a prefix instead of house. • Houses may now have back doors attached to them which can be entered and exited. Any lead admin can set the cords and activate house back doors. • Players may now input custom textures onto house furniture. • Textures can now be applied to exterior house furniture. Angel Pine, once a prosperous small mountain town, now plagued by violence. Residents were shocked to hear automatic gunfire coming from just outside their homes at 3PM on May 1st. A horrifying and sinister attack on a local Motorcycle Club left four dead. A grey Picador with two heavily armed males in the back, roamed the streets in search of what we assume to be a rival gang. They promptly gunned down anyone who was riding a motorcycle without questioning. This brutal attack will not go unnoticed. State Police are looking into the shooting, it is believed that a similar incident the day previous, in which three were killed, is connected to this shooting. More Police have been assigned to the area and patrols are more frequent as a result of the recent surge in crime. Any potential witnesses are urged to contact the Police with information. Thank you for your continued service and dedication throughout April. I spent much of the month on a leave of absence but I am glad to have come back to the department being in such a positive and progressive state. For new employees and inquisitive civilians reading this newsletter, this is a document which is published every month and is carefully written and constructed by the High Command team cohesively. We put a lot of time and attention into this document where we summarize recent events within the San Andreas State Police and discuss future events we have planned, as well as rewarding Troopers and Supervisors for their continued service and dedication to the department. This month has seen nineteen State Troopers inducted into the department from Academy Batch #41 - which is fantastic to see! I have seen a lot of you on the field and greeted you personally, if I have not yet then I anticipate to do so soon. It's been fantastic to see so many of you apply to divisions that genuinely interest you as you start to formulate your own unique career path within the department. This department continues to offer unique experiences for everybody as we attempt to cater for everybody's interests and allow you to prosper in a division or in a role which genuinely interests you, whilst simultaneously contributing to law enforcement and upholding the values of the San Andreas State Police. If anybody has any queries or concerns regarding their career path or any questions regarding how they can contribute to the department, administratively or in the field, feel free to contact a Supervisor who will help you construct your goals! Thank you for reading this short introduction and I hope you enjoy the rest of the newsletter. VICE™ Nightclub exceeded party numbers with a staggering 65 party goers! Free VIP available to all party goers for the grand opening. Owner Harriet Fairfield quoted to be excited for next opening! Yesterday evening was an exciting affair with many Red County Residents eager to step inside the brand new nightclub and lounge, VICE™. Owned and sponsored by County Radio employees, our entire staff team were on hand to assist as and where possible. Local residents were also drafted in for bar work and security as numbers of party goers creased throughout the evening to a staggering 65 heads! DJ Mercy, or Mercedes 'Sarno' Montana as she may be better known, was at the helm providing entertainment and shoutouts on behalf of County Radio. Mrs. Montana was quoted to be nervous prior to the opening, a first time in the history of her performances within Red County. Nevertheless, the turnout was incredible and surpassed the numbers that Ms. Harriet Fairfield had initially predicted. VICE™ Nightclub and County Radio would like to give a notable mention to Mr. Emilio Garcia, Mr. Adam Pellet, Ms. Judit Nagore, and Mr. Cody Llamas for their creditable assistance throughout the evening to make the grand opening safe and the very best it could have been. Mr. Lars Jameson, the manager of VICE™ Nightclub and Mr. Terry Rossi, front of house, were also on standby to ensure that the opening ran smoothly. Amongst the song and dance through the evening, VICE™ Nightclub was also providing its party goers with an exclusive competition to celebrate the grand opening which saw Ms. Raegan Pauper dance away with a brand new Alpha sports car. With such a successful first opening, VICE™ Nightclub is set to continue with its live entertainment next weekend with the possibility of a brand new DJ, allowing DJ Mercy a well deserved weekend off. What's more, is VICE™ Nightclub is reported to be in discussion regarding future events, which could range from boxing matches to fashion shows in the very near future, so keep your eyes and ears open! Did you partake in VICE™ Nightclub's grand opening yesterday evening? If so, be sure to check out the photos from their official website. Don't forget to share your photos and experiences below! Academy Batch #41 was one of the best batches the San Andreas State Police ever had, with a total amount of 62 applications, 27 making it into the academy and 19 of which succedeed in order to fulfill their wish as State Troopers. "Lieutenant Colonel Kemp": It's always fantastic to see Probationary Troopers progress through the ranks to fully fledged Troopers, then witnessing how they prosper and commit evermore to front-line policing in San Andreas. I'm extremely proud of each of them who have made it this far and long may their hard work and dedication towards the State Police continue. Recruitment for Academy Batch #42 is opening on the 1st of May. If you're interested in a role within Law Enforcement and willing to dedicate your time and show motivation to this department, do not hesitate to apply! We're looking for young people willing to dedicate themselves to this department, whilst acknowledging the fact that they might have to put their life on the line to stick to their oath to serve and protect. If you are interested in applying, please visit our website sasp.sa.gov and fill out our application format; We're looking forward to seeing you make this choice in your life! This might be your last chance of joining the department because there might be a chance that the upcoming recruitment batch will pause for two months after this batch, if the majority of applicants will make it through the exam and probationary period only. For this reason, recruitment will be open for 15 days to give people time to think about applying and decide about their choice in life. Take your chance and Apply today! Our recruitment, academic training and field training Troopers are all waiting to guide you through the whole process and get you settled inside the number one employer of the Red County. To help you getting started we already gathered the most important links to apply. Click here to go to the San Andreas State Police Website. Click here to go to the San Andreas State Police Website's Career Page. Click here to go to the San Andreas State Police Website's Law Enforcement Career Page. Click here to go to the San Andreas State Police Website's Application Requirements. Click here to go to the San Andreas State Police Website's Application Format. Click here to go to the San Andreas State Police Website's Application Frequently Asked Questions. Later this academy batch we will publish some hints and tricks from the old academy students to help you through the process. For now I can wish you, on behalf of the whole Public Affairs Division, the best of luck at writing your application, making a good impression at the interview and show your muscles at the fitness test! Minature tennis court erected in town. Free-to-use gym equipment and weights available. New leisure facilities approved by local residents. If you have spent some time in Palomino lately you may have noticed the newly erected miniature tennis court and gym equipment. The new leisure facilities, situated comfortably snug on Moyers road, has become a welcomed addition by local residents of Palomino, with many of the youth groups taking plenty of time out to work on their fitness. The leisure facilities come as a great addition to the community by adding a new level of diversity among the bars and residential properties. With summer well and truly on its way, we may be seeing tennis tournaments as a possibility, rather than the current and exhausted methods of entertainment and competitions. 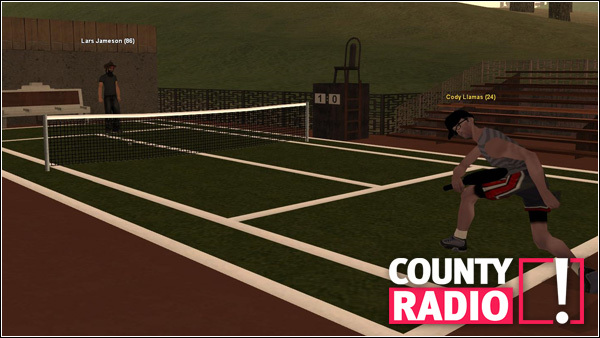 Have you been able to sweat it out on Palomino's tennis court? What are your thoughts? We'd love to hear your opinion in the comment section below! A quiet early afternoon of a 22nd April 2017 in Palomino Creek was suddenly interrupted due to loud gunshots. Not so long after the gunshots were heard, our dispatcher received multiple calls, one from San Andreas State Police via departmental radio, about the injured males at Peach Block in Palomino Creek. After few units responded to the scene, they noticed a big number of deceased males spread around Peach Block, State Police units and few more injured inside of Palomino Creek Block 9. Six DOAs (Dead on Arrival) were confirmed around Peach Block and all were a result of a shootout. Few injured that our employees found inside the Block 9 were safely transported to the Montgomery Hospital after they received needed medical assistance on the scene. March has been an excellent month for us. We've had tons of work to do this month and it seems like more tasks come for us every next month. As San Andreas' population increases every day, our company works even harder and harder than the previous months. Our Commercial Delivery department is on its feet, as always, refuelling gas stations and restocking your local businesses every time they're in need. Our Field Services department is also extremely active and besides doing your usual deliveries, our FSD members ensure that all the population's vehicles are in their best shape. We're excited to see what April brings us on the table!